Updated 7/6/2017 Tonde Buurin backgrounds are always handsomely done, and this one is pretty enough to feature. Although the menu doesn't seem to have a lot of variety, the reflections on the shiny surfaces have been done with care and realism. 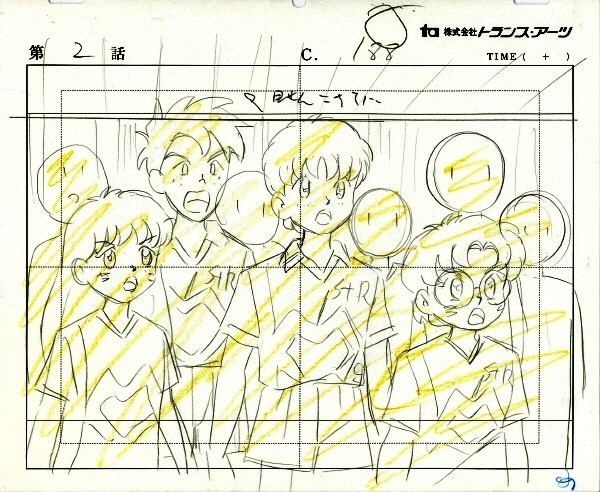 Along with this background I got two layouts showing the two cuts where it was used. In the first, cut 188, it backs a bunch of the St. Ringo students milling around wondering how they will get to the soccer game on time (first thumb). 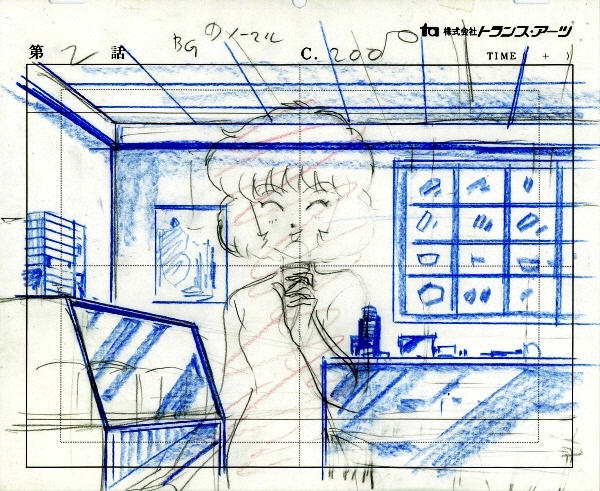 Then you get a better look at it in cut 200, which begins with the layout image (second thumb): Keiko happily starting to nosh into an ice cream cone before going fried-eggy in the first of the cels I obtained.